This is a die-cut Arden Protected Milk porcelain sign. 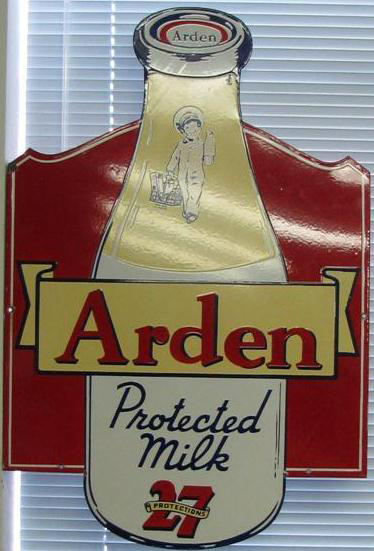 This particular Arden Protected Milk sign features a large bottle of milk with a red background. It reads, “Arden Protected Milk, 27 Protections” and features the Arden milk boy at the top.